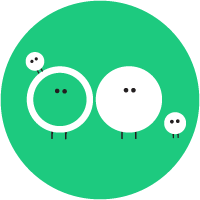 Each Wriggletto class has a minimum of 6 and a maximum of 12 registered children plus their adult carers, and a few infant siblings, depending on class numbers. Yes! Free, no-obligation demo classes, available by reservation only, are held before the regular term classes begin. To reserve a spot, you can schedule your demo here. I want to attend a demo class before registering, but I'm afraid that the class I want will fill up before the demo. What should I do? If you're worried that the class of your choice will be filled up before you take your demo, then the best strategy is to register and pay for the class as soon as possible. If you don't have a Paypal account, you may prefer to send a cheque or PO in advance of your demo or the first day of Open Registration so that your payment secures your online registration. If after taking your demo or trial first class, you decide to cancel your registration, you will receive a full refund of your tuition fee. Tuition can only be refunded before materials have been provided and before attendance at your second class of term. All children are musical. In the same way that a child has the innate ability to speak and understand his native language, your little one also has the ability to do the same with the language of music. Do you wait to talk to your little boy until you are sure that he can answer you back? He talks when he is ready, because he has been immersed in a language from birth. Giving your little girl this same kind of immersion in musical experiences will provide her opportunities to not only learn to sing in tune and keep a steady beat, but to develop her own special way of expressing music through movement. Our youngest registered baby so far was 6 weeks old at the start of term, but we have had countless newborns attend class with older siblings! Not only may you, but we encourage it! In the 1980s, Music Together® pioneered the development of the mixed-age approach in early childhood music and research has shown that preschoolers learn best in a mixed-age environment. The little ones learn by watching and imitating the older children. The older children love being the 'big' kids and showing the little ones how it is done. 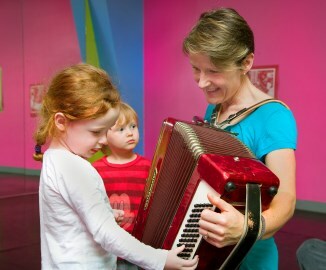 This family-style learning environment facilitates participation and involvement in the music for every child, at whatever developmental stage they may be. Can I start classes after the term has begun? Late registration will be handled on a case-by-case basis. If there is space available in a class, you are welcome to join up to and including the fourth class of a ten-week term at the latest. Please contact Wriggletto to find out more, and about cut-off points for joining terms of shorter than ten weeks' duration. What if I didn't start in the Autumn? Has my child missed something? 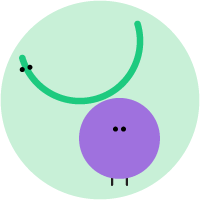 Because the terms are non-sequential and the activities are designed to be accessible to a child at his own developmental stage, a child can come to Wriggletto at the beginning of any term and at any age before going to Primary School. Because you are your child's most important role model, your little one will learn best by watching you and listening to you. Therefore, your participation as a music-maker is vital to your child's developing love of music, regardless of your own music skills! No! We promise that you will not hurt your child's musical prowess by singing to him, even if you are not always in tune. He will hear plenty of "in tune" music through other mediums, but your voice and your presence are most precious to him. What you (and/or other carers) do, he wants to do too. Although we, as teachers, are able to help your child learn skills, your child must gain the positive disposition toward active music making from you. On occasion, Wriggletto classes may be in session when older children have a school holiday. Older siblings of registered students may occasionally visit provided that firstly, the child is not sick and off school as a result, and secondly, that the visit is arranged in advance with the teacher. Any number of adult carers are welcome to attend class at any time; there is no need to ask! Whole-family music-making in your home is extremely valuable to your child's musical development, and attending class occasionally helps the other family members to join in at home. Enhance your child's experience in class by remembering to sing, sing, sing! 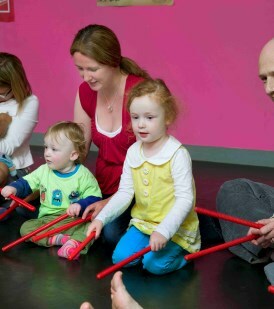 Your active participation is the key to your child's musical growth. Support the creation of a music-only environment while in class by not talking to your child or other adults during class time. Since it is difficult for a young child to screen out adult conversation, please wait until after class to socialise. We need you to contribute to the creation of a musical environment for all the children to absorb. Try to avoid giving verbal directions to your child. It can be hard to restrain the impulse to say, "Do what the teacher is doing!" or "Hold your instrument this way," but children respond best by watching and listening to you and doing things by themselves. Wandering toddlers are fine, but if you want your child to come back to you, avoid calling to him or her from across the room. If necessary, redirect your child physically back to you or the circle. Please do watch out for your child’s safety, but mostly, we want you to just relax and have fun! Play your CD at home and in the car as frequently as possible, especially during the first few weeks of class. Make it available to your child to listen to while playing or before nap or bedtime. Use the songbook to help you remember the songs or to play along if you play an instrument. Try using the songbook at storytime instead of a regular book, and sing through the songs as you go along. Looking at the printed notes on the page will help children understand that music is something that can be read, like words. Familiarisation with notation will help them when they are more ready for formal music instruction at a later stage. My child just sits there (or just wanders around in class). Is my child bored? What if I miss a class during the term? In the event of missing one or more of your classes, up to 2 discretionary make-up classes may be taken during a ten-week term, if class spaces are available. These spaces are available at the alternate location to the one you attend. The make-up class must be taken during the current term and be booked in advance. Make-up spaces are also offered during terms shorter than ten weeks, where possible. We do our very best to accommodate make-ups where at all possible in each term, regardless of term length. Because our classes are term-based, they can't be approached on a pay-by-class basis. Families do miss class for a variety of reasons during term, but partial rebates cannot be returned when they do. The tuition fee keeps the family's space open for the term and guarantees that the space will be there specifically for them each week. Think of it like paying for a term of sports, swimming, drama, ballet ( all things of the future for your family perhaps!). None of these classes provide rebates for missed classes. The make up system we have in place is very much appreciated as a result. In the event that you cannot make up a missed class due to work or other committments, we do our best to offer you free spaces in pre-term demo sessions or any other opportunities we may have available. Your materials and online resources are also useful throughout the whole term (and for much longer afterwards) whether you make every class or not. Families are responsible for class attendance and non-attendance does not constitute withdrawal from class. However, in the case of voluntary withdrawal from classes before term commencement, a full refund is issued. No tuition refunds are given in the event of withdrawal after the start of term. Partial credit may be given only in exceptional circumstances if you withdraw after the first class, and circumstances are looked at on a case-by-case basis. What happens after we complete a term? There are nine song collections. A different song collection is used each term, so when you register for your next term you can look forward to new songs and chants, taught with the same kinds of activities. Because your child will be at a different place developmentally, an activity will be exciting to him whether it is because of its familiarity or because he can grasp it in a new way. Please don't hesitate to breastfeed/bottle-feed your baby in class. Drinks are more than welcome for older children but please keep solids and snacks for outside the classroom. 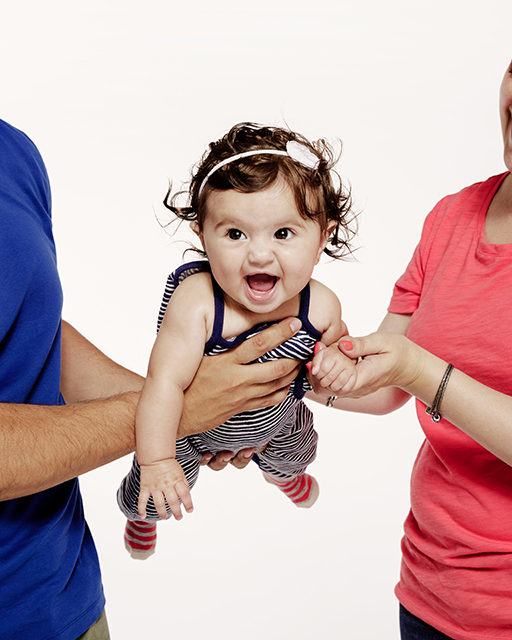 Check out our class schedule and find a time and location that works for you and your child. Then fill out the registration form at the bottom of our Register page and forward your tuition fee by post or complete payment online.